Is there an echo in this here cosmos? He wasn’t exaggerating. Even our nearest star Proxima Centauri is a staggering 4.2 light years away – more than 200,000 times the distance from the Earth to the sun. Or, if you like, the equivalent of 50 million trips to the moon and back. Such vast distances would seem to put the stars far beyond the reach of human explorers. Suppose we had been able to hitch a ride on NASA’s Voyager 1 the fastest interstellar space probe built to date. Voyager 1 is now heading out of the solar system at about 17 kilometres per second. At this rate it would take 74,000 years to reach Proxima Centauri – safe to say we wouldn’t be around to enjoy the view. So what would it take for humans to reach the stars within a lifetime? For a start, we would need a spacecraft that can rush through the cosmos at close to the speed of light. There has been no shortage of proposals: vehicles propelled by repeated blasts from hydrogen bombs, or from the annihilation of matter and antimatter. Others resemble vast sailing ships with giant reflective sails, pushed along by laser beams. All these ambitious schemes have their shortcomings and it is doubtful they could really go the distance. Now there are two radical new possibilities on the table that might just enable us – or rather our distant descendants – to reach the stars. In August, physicist Jia Liu at New York University outlined his design for a spacecraft powered by dark matter (arxiv.org/abs/0908.1429v1). Soon afterwards, mathematicians Louis Crane and Shawn Westmoreland at Kansas State University in Manhattan proposed plans for a craft powered by an artificial black hole (arxiv.org/abs/0908.1803). No one disputes that building a ship powered by black holes or dark matter would be a formidable task. Yet remarkably there seems to be nothing in our present understanding of physics to prevent us from making either of them. What’s more, Crane believes that feasibility studies like his touch on questions in cosmology that other research hasn’t considered. Take Liu’s dark matter starship. Most astronomers are convinced of the existence of dark matter because of the way its gravity tugs on the stars and galaxies we see with our telescopes. Such observations suggest that dark matter outweighs the universe’s visible matter by a factor of about six – so a dark matter starship could have a plentiful supply of fuel. Liu was inspired by an audacious spacecraft proposed by the American physicist Robert Bussard in 1960. Bussard’s “ramjet” design used magnetic fields generated by the craft to scoop up the tenuous gas of interstellar space. Instead of using conventional rockets, the craft would be propelled by forcing the hydrogen gas it collected to undergo nuclear fusion and ejecting the energetic by-products to provide thrust. Because dark matter is so abundant throughout the universe, Liu envisages a rocket that need not carry its own fuel. This immediately overcomes one of the drawbacks of many other proposed starships, whose huge fuel supply greatly adds to their weight and hampers their ability to accelerate. “A dark matter rocket would pick up its fuel en route,” says Liu. Crop circle theorists known as ‘croppies’ – believe the patterns are created by UFOs during nocturnal visits, or caused by natural phenomena such as unusual forms of lightning striking the earth. But it has been proven the patterns can be easily created artists. Last year a crop circle described as the most complex ever to seen in Britain was discovered in a barley field in Wiltshire. 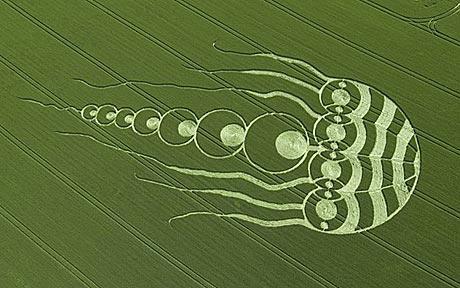 The formation, measuring 150ft in diameter, was a coded image representing the first 10 digits, 3.141592654, of pi. If you like these things Graham Hancock has a nice newsfeed here as well. Really stoked for Earth Pilgrims to come out as well..They postponed release to include Nassim. Hey, whats the update on his publishing his theories? Yay! Shred Nassim Haramein! Thanks for the update on TRP Tallbridge. That Earth Pilgrims movie looks interesting too! I had just written a little note today on Facebook moments before I found this Firefox ext. Webmynd. 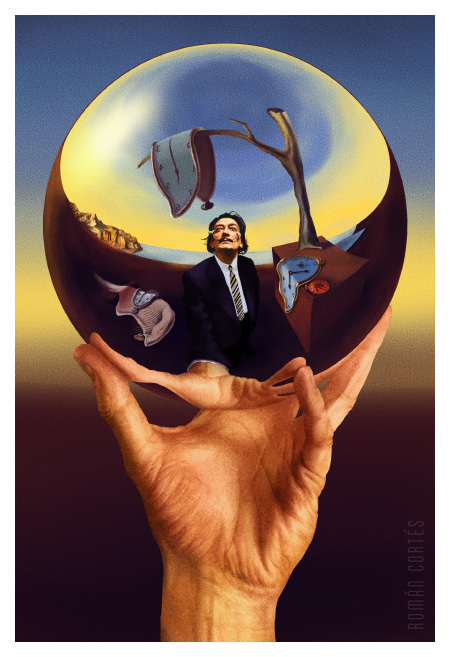 An interesting philosophical view presented by a physicist named Nassim Haramein says that the human organism is the link between the largest things in the universe and the smallest…and if we take this idea and say that we each are perceiving the field of reality – taking in its information, which is in fact all just light – and then translating it into ourselves, or minds, hearts, bodies and souls – then each of is it not in anyway insignificant in the big scope of things – that we are all in fact equal and all one. But this isn’t to say people cannot be given kudos based on merit, because those who put forth the effort to take in more information, are in fact applying themselves much more to the universe. In todays day and age, technology offers us some luxury…Right now I do not farm, or clean, or walk everywhere and i have the time to sit around on the computer every once in a while. And when I do this, i just surf around a realm of manipulated light which offers information streaming directing from the minds of billions of human organisms around the world….Interestingly, this is somewhat of a illustration of telepathy via external technology. Multicontextual media is standard now on the internet, with links, and everything else. Anyone can create a small brain on a subject for others to understand or ignore. Webmynd gives you on the side of your google shred, the search results of a whole other bunch of areas from Amazong to Wikipedia to Delicious and whatever. Then down in the bottom right of Firefox you click the play button and it has a record of your recent webactivity graphically and lets you search the whole thing. If your not familiar with the Oct. 14th Fiasco, look it up, cool stuff. Soon enough America will finally release a lot more of their information (like other countries have done). I follow UFO phenomena quite a bit as I have had 5 different orb experiences (all in Denver)..